There's no ministry quite like children's ministry. The best people serve in children's ministry. 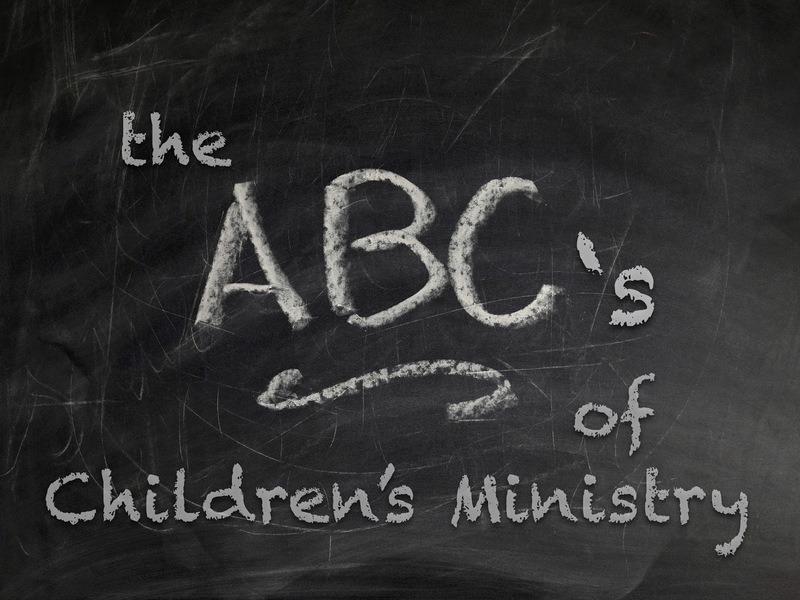 The biggest impact is in children's ministry. The most fun area to serve in is children's ministry. The most rewarding place to serve is children's ministry. single adults...every age demographic in the church. A - Attention spans. They are short and we must honor them. B - Baby dedication. What a great time to bless families. C - Crafts. We prepare them and present them to kids as a way to learn more about God. D - Discipleship. It's about discipling kids, parents and volunteers. E - Easter. Jesus is risen. Everyone shows up at the same time. Easter eggs. Kids wear cute little dresses and outfits. F - Fun. Make church fun for kids. G - Goldfish crackers. The "manna" of children's ministry. H - High fives. Give out lots of them to kids and volunteers. I - Inspire. Keep volunteers inspired through your words and actions. J - Jesus. The standard answer to a review question when a child doesn't know the correct answer. K - Keep going. Never give up. Go the distance. L - Listen. Ask kids open-ended questions and then listen. M - Millennials. They are the young parents of the children in your ministry. Learn how to connect with them. N - Nursery. It's not childcare. It's planting seeds of faith into a person's life at the most critical time. O - Object lessons. Kids love them. Use them to teach kids God's Word. P - Parents. If you truly want to influence children, then you must influence their parents. Q - Quality. Do your very best with what God has given you to make the ministry high quality. R - Ratios. They are very important to follow. S - Students. What a huge impact they make in children's lives. T - Teamwork. It takes a team to run a children's ministry. U - Update when needed. Change is the door to growth and staying relevant. V - VBS. While some now call it a different name, it's still the premiere summer outreach / event. W - Worldview. It is critical we help children develop a Biblical one. X - eXcitement. Create exciting worship experiences and events for kids. Y - Yahweh. We serve for His glory and to advance His kingdom. Z - Gen Z. They are the largest generation on the planet and our mission field.